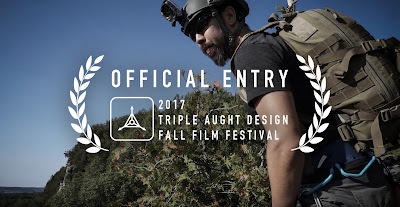 This season Triple Aught Design is hosting a film festival and is showcasing some outstanding videos from all over the world of their fans sharing their passions. I put together a short film with the team of some caving and rappelling and am honoured to have been approved for their festival. Please click the link to see my submission, my second submission, and if you like it please vote! If you want to be the first to know about new videos the best way is to follow me on Facebook or on Instagram. What bump helmet are you running in this video? Hi Cisco, I'm using the OPSCORE bump.